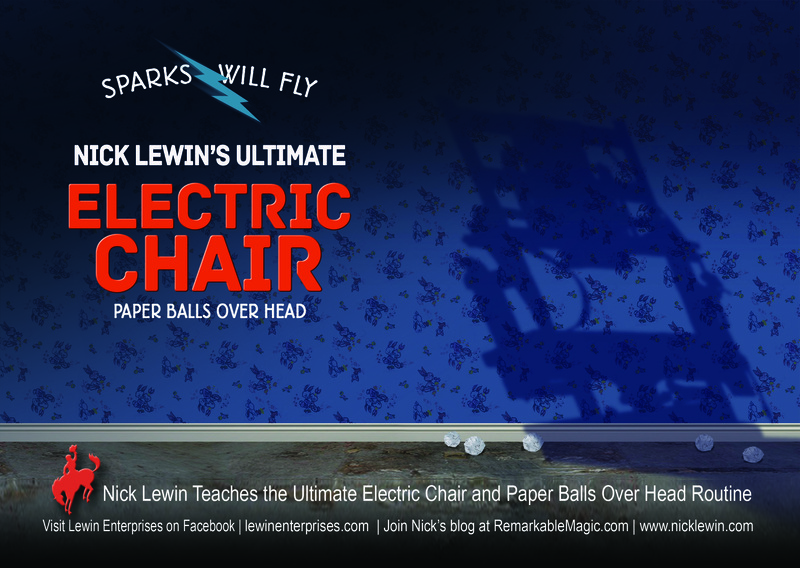 NICK LEWIN TEACHES THE ULTIMATE ELECTRIC CHAIR AND PAPER BALLS OVER HEAD OUTINE. FINALLY AVAILABLE A DVD AND PDF MASTER CLASS ON THIS CLASSIC EFFECT. 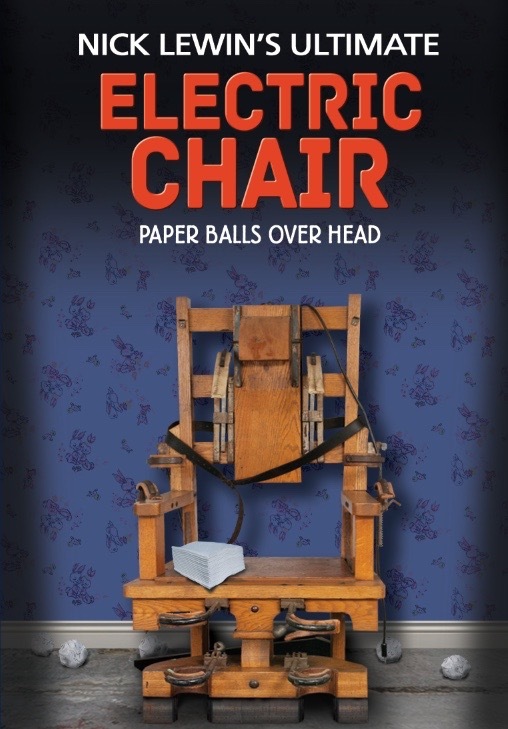 In 1968 Nick Lewin spent six hours learning Ken Brooke’s Electric Chair & Paper Balls Over Head Routine. It was never a routine that Brooke published or sold via his magic studio. 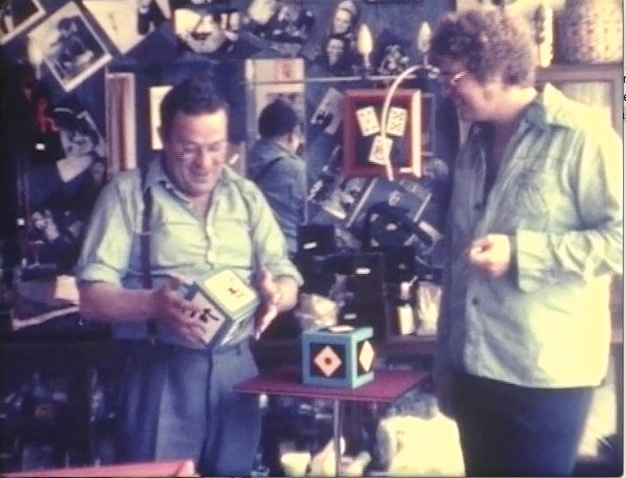 He only taught it individually to a handful of magicians. 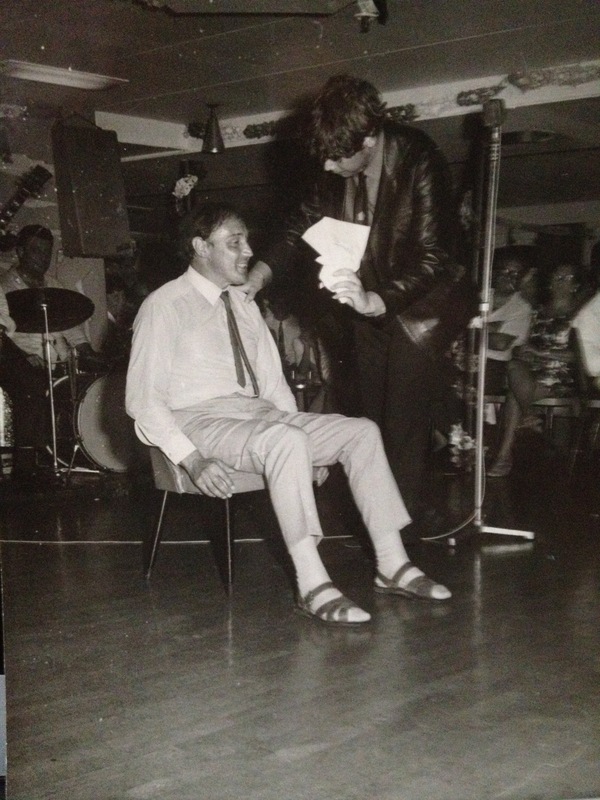 His price was steep, over fifty pounds, which was a fortune in 1968! This routine was the featured highlight of Ken’s professional show, and anyone who saw him perform it for a lay audience will tell you why. It is ten-minutes of the funniest and most commercial comedy magic in the business. It also became the heart of Nick’s show for many years and became a huge success with audiences and bookers alike. 48 years after Lewin learned this routine directly from Ken, it is finally being released in the form of this detailed DVD and PDF format. Nothing is held back, it contains every detail, secret and the exact words that can turn it into a sensation in your show. The information on these two discs contains not only Ken’s routine and personal notes, but all the refinements, additions and improvements that Nick has developed in the 48 years he has been performing it. The meticulous attention to detail in this release, make it the ultimate master class in performing this legendary routine. Once you know the true secrets, many of which are being revealed for the very first time, you will quickly be able to add the reputation making feature effect to your show. NO SPECIAL CHAIR IS NEEDED, CHOSE ONE AT THE GIG. FULL SCRIPT, DIALOGUE AND PATTER SUPPLIED. THE ULTIMATE PACK SMALL AND PLAY BIG ROUTINE. A REPUTATION MAKING ROUTINE THAT IS PERFECT FOR ANY COMEDY PERFORMER. IDEAL FOR CABARET, CORPORATE OR THEATRE PERFORMANCE.